President Donald Trump has announced he is canceling a summit with North Korean leader Kim Jong-un, saying the world had “lost a great opportunity for lasting peace”. The American leader said his decision was because of “tremendous anger and open hostility” in a recent North Korean statement. The summit aimed at ridding the Korean peninsula of nuclear weapons and would have been the first time a sitting US president met a North Korean leader. However, both sides have recently cast doubt on whether the talks would happen. President Trump’s announcement came just hours after North Korea said it had dismantled tunnels at its only nuclear test site in a move witnessed by foreign reporters. He said he had been looking forward to the now-canceled summit in Singapore on June 12. The president called the meeting a “missed opportunity”, saying “someday, I look very much forward to meeting you”. President Trump was apparently responding to statements from North Korea attacking his administration and casting doubt over the meeting. Earlier today, North Korean official Choe Son-hui dismissed remarks by US Vice-President Mike Pence – who had said North Korea “may end like Libya” – as “stupid”. 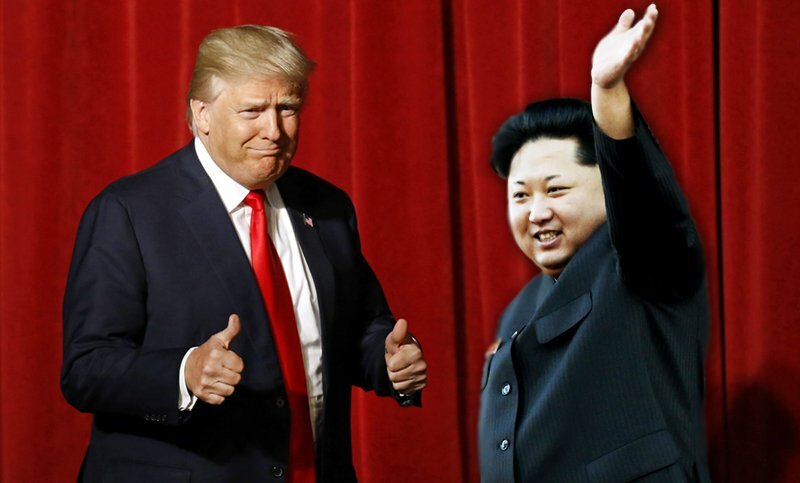 Choe Son-hui, who has been involved in several diplomatic interactions with the US over the past decade, said North Korea would not “beg” for dialogue and warned of a “nuclear showdown” if diplomacy failed. A White House official quoted by Reuters described the comments about Mike Pence as the “last straw”. They stressed, however, there was a “backdoor that’s open still”. References to Libya have angered North Korea. There, former leader Colonel Gaddafi gave up his nuclear program only for him to be killed by Western-backed rebels a few years later.